I don’t know exactly what to make of this. Is is sickening or is it courageous? Kathy Griffin has been set upon like a patriot in a MAGA hat at a kumbaya festival. 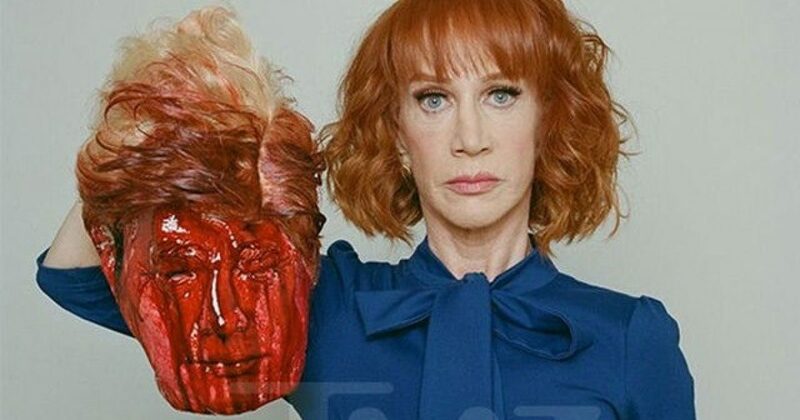 The Secret Service has even launched an investigation into her childish, at best, mock beheading of President Trump, proudly displaying his bloody head to the delight of her brainless fans. Griffin believes her use of our President, a man surrounded by hundreds of armed security personnel 24/7, as a prop in her not-even-funny comedy routine is free speech protected by the First Amendment, which all liberals are happy to hide behind when they need it but openly lobby for denial of the same First Amendment protection for patriots. Funny the impact a federal investigation has on liberal weenies. Griffin’s apology is NOT courageous! It is CYA and, like her so-called comedy, it is sickening! Here is how one man-in-the-street reaction….